We introduced our patented flagship product, the Echoscope®, which is still the world’s only real-time 3D Imaging sonar, allowing users to visualize their underwater environment live, in 3D, and in all water visibility conditions. 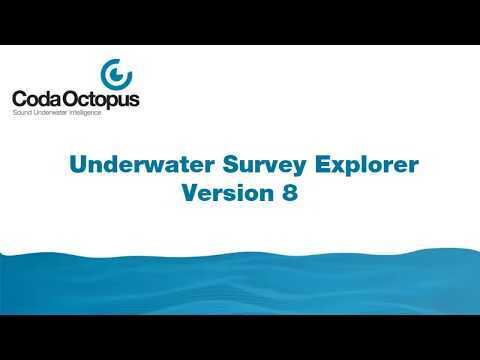 Port owners and engineers can visualize and model underwater features easily with the Echoscope® and CodaOctopus® Underwater Survey Explorer 3D visualization software. The CodaOctopus® Underwater Inspection System is a fully integrated 3D sonar system designed for the rapid assessment of underwater threats, storm damage, sunken debris, and baseline maps of critical infrastructure. For our marine and port construction customers, the CodaOctopus® Construction Monitoring Software (CMS) records and tracks precise block placements to make the breakwater construction process simpler and more intuitive. New technology is giving port operators the ability to see what's going on under the surface, even in murky or inaccessible corners, writes Stevie Knight. Coda Octopus has launched its lightweight and compact fourth generation (4G) Underwater Inspection System UIS for inspection; change detection analysis; and search and recovery in ports. Today's port breakwater construction ties placement, innovation and ecology together, explains Stevie Knight. Coda Octopus is excited to announce that we will be exhibiting on stand 813 at this year’s Underwater Intervention in New Orleans, Louisiana from 5-7 February.